The packs contain specimen pots, gloves, pre-paid envelopes, easy to understand instructions and vouchers for a full laboratory test. It is extremely important that the samples are fresh and reach the laboratory the following day. This can be achieved provided the samples are posted by the last post on the day they are collected during the working week. The results and an explanation will be posted to the customer and there are no hidden charges once they have bought the pack. Horses must not have been wormed 10 - 14 days prior to testing. Below are some recent questions we've received regarding Equi-Lab Worm Count Kit for Horses, including answers from our team. What kind of worms does it test for? Does the kit test for all kind of worms including encysted red worms AND tapeworms? Tapeworm cannot be detected with this test, and is also unable to detect the encysted small redworm larvae living in the gut wall. What these tests do show is the presence of egg-producing adult roundworm, and gives an indication of the level of roundworm infection (including adult small redworm). They're very helpful for identifying horses with burdens that need treating, and for checking whether or not a treatment has been effective. Tapeworm cannot be detected with this test, and is also unable to detect the encysted small redworm larvae living in the gut wall. What these tests do show, is the presence of egg producing adult roundworm, and gives an indication of the level of roundworm infection (including adult small redworm). They're very helpful for identifying horses with burdens that need treating, and for checking whetehr or not a treatment has been effective. Normally, encysted redworm larvae are targeted with either a moxidectin (Equest) or febendazole (Panacur) product in Nov-Feb to prevent damage to the gut lining if a huge number of larvae emerge in spring. They cannot currently be tested for, so a targeted treatment at the right time of year is ideal. Tapeworm can be detected using a saliva test which you can buy, or a blood test performed by a vet. Usually, horse owners target tapeworm twice a year to break the lifecycle. 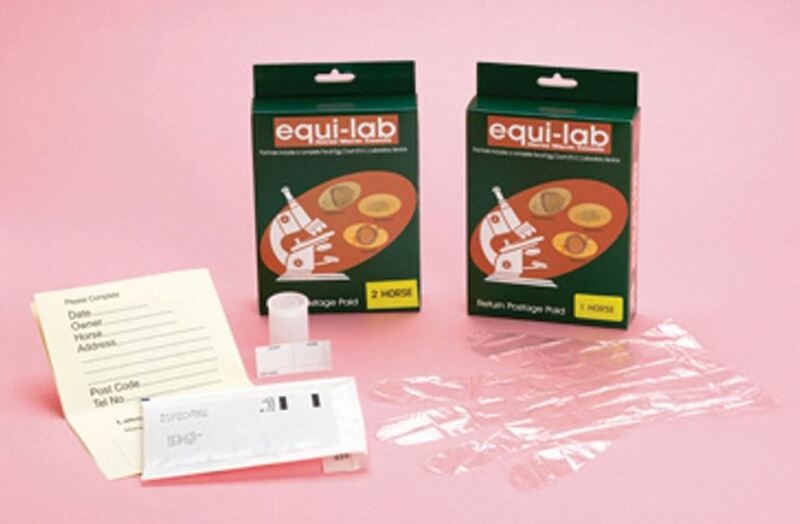 How many horses can be tested with the Equilab worm count kit? Each kit contains the test equipment for one horse.